Open Sun. 8/20@1-2:30PM! !Stylish tri level in an ideal Lindbergh location close to - schools, shopping, dining and highway access! Tucked into a quiet block. This gem is here for homeowner enjoyment! 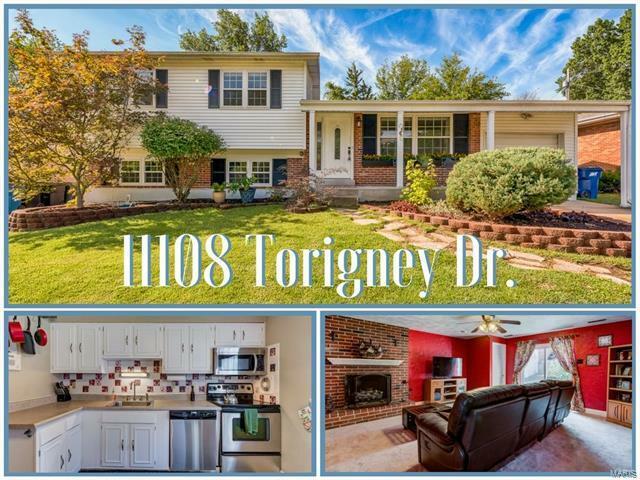 You will be amazed by all the living space this lovely home has to offer! Open living & dining room ideal for entertaining. Flowing hardwoods throughout. Bright open kitchen w/ ample storage & fun style! Generous master suite w/ sharp updated master bath. Nice in size guest bedrooms & a guest bath. Ideal finished walk out lower level w/a Spacious family room including a vent less gas fireplace. Another 1/2 bath & laundry area for needs. More enjoyment will come from the secluded back yard w/ nice retaining walls, gardens, large patio, & fenced yard. Additional perks include: Newer windows and a/c, tuck pointing & refinishing of the chimney, new stone retaining wall! Space, Style, & amazing Lindebergh schools- this gem is a must see & waiting for it's next homeowner to come & enjoy! Lindbergh to North on Baptist Church Rd. Left on Torigney.